Did you know that purchasing YoYoInk products is a proactive approach to helping our environment? We oftentimes hear about natural disasters and global warming occurring somewhere around the world as a result of lack of care for our environment. From the improper disposal of consumer waste to manufacturing and using products that are bad for our planet, we oftentimes don’t realize the significant impact to mother earth. As individuals and as a community, together we can do more to protect our planet than imaginable. If you break down the ink cartridges that are typically just thrown away, you can clearly see how damaging this can be to our plant. From the image shown you can see that ink cartridges are full of chemicals that are harmful to both you and the environment. To read more about the full Impact the toners and cartridges have on the environment check out Bob Gorman’s Post on The energy Collective. This illustrates how serious of a problem we are causing to the environment from something as simple as Ink Cartridges. It is said that about 97% of Printer Ink Cartridges are recyclable and only 3% is complete waste. The environmental impact if we all did our part to reduce, reuse and recycle would be beyond beneficial. The positive benefits that occur when we all do our part to reduce, reuse and recycle would help reduce problems associated global warming and natural disasters. 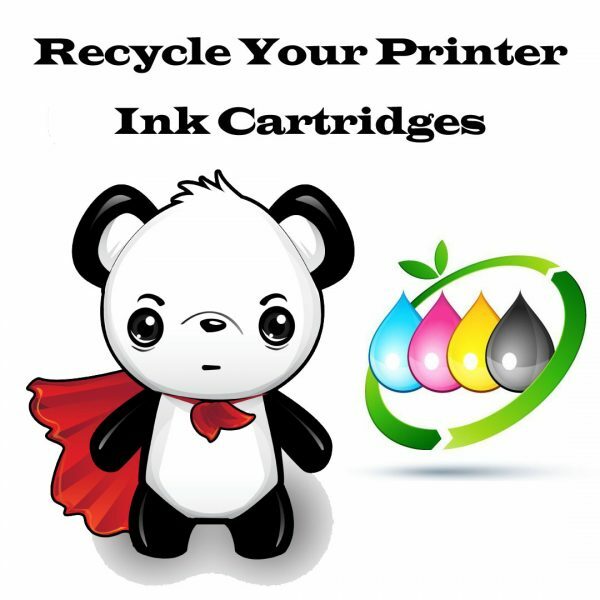 When you recycle your used printer ink cartridges it reduces both air and water pollution that is created from manufacturing the cartridge and landfill pollution from the slow decomposing process of the plastic, metal and chemicals in each ink cartridge. Recycling your old printer ink cartridge also helps reduce the amount of natural resources being used up when producing them, especially oil. A very easy way to do your part for reducing, reusing and recycling your printer ink cartridges is going through YoYoInk. YoYoInk is your one stop shop for all your remanufactured / compatible / recycled printer ink cartridges, drums and toner needs. YoYoInk specializes in providing the highest quality ink cartridges at affordable prices for brands such as Brother printer ink cartridges, Canon printer ink cartridges, Dell toners, Epson printer ink cartridges, HP printer ink cartridges, Kodak ink cartridges and Lexmark ink cartridges. YoYoInk has been a popular and reliable source for everyday printing solutions across the nation. With quality, customer service and satisfaction as the company’s core value, YoYoInk backs its printer ink cartridges, toners and drums with a 100% no hassle money back, two year guarantee. Gorman, Bob. “Ink Waste: The Environmental Impact of Printer Cartridges.” The Energy Collective , Blog, 30 Mar. 2017, www.theenergycollective.com/bobbyg/2401395/ink-waste-environmental-impact-printer-cartridges. Markgraf, Bert. “How Does Not Recycling Ink Cartridges Affect the Earth?” Sciencing, 25 Apr. 2017, sciencing.com/not-recycling-ink-cartridges-affect-earth-21041.html. Markham, Derek. “Recycled Ink Cartridges: Making Your Printing More Eco-Friendly.”Ecopreneurist, 28 Mar. 2014, ecopreneurist.com/2014/03/28/recycled-ink-cartridges-making-printing-eco-friendly.